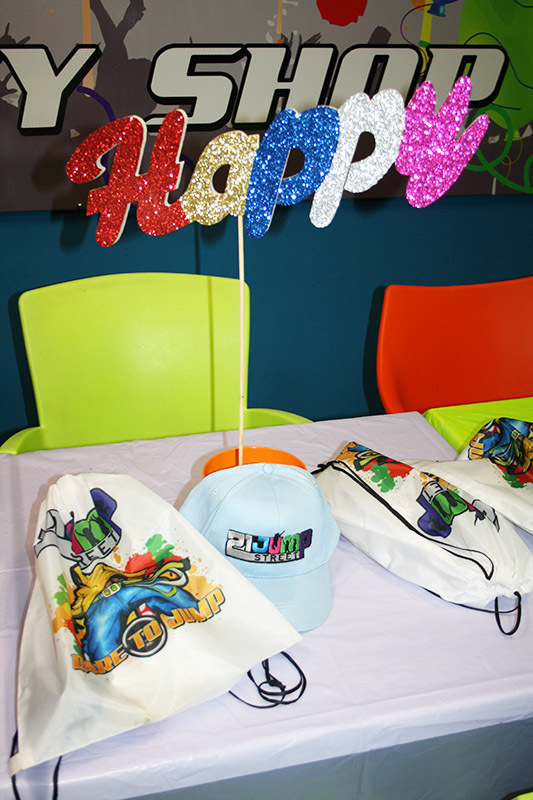 Our Jump party planner will work with you to ensure your child's party is a truly unique and memorable experience. 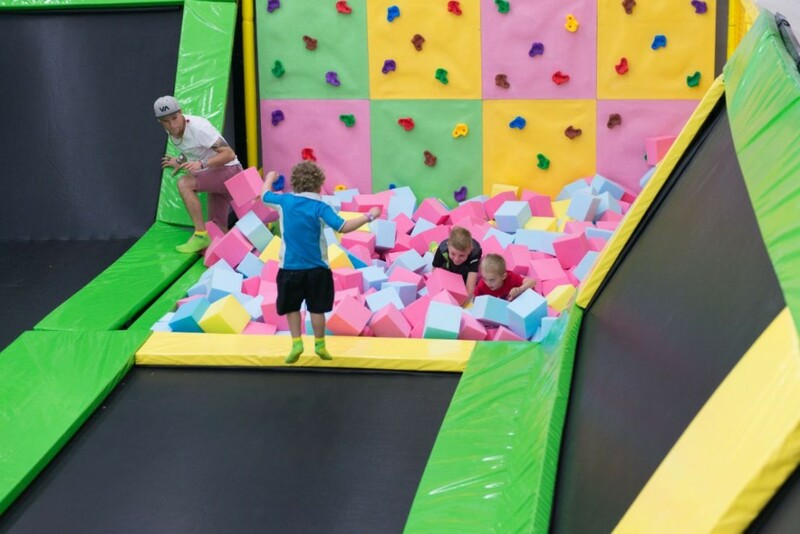 You will have your own private venue to celebrate and relax whilst kids and adults have full access to the indoor jump park next door. 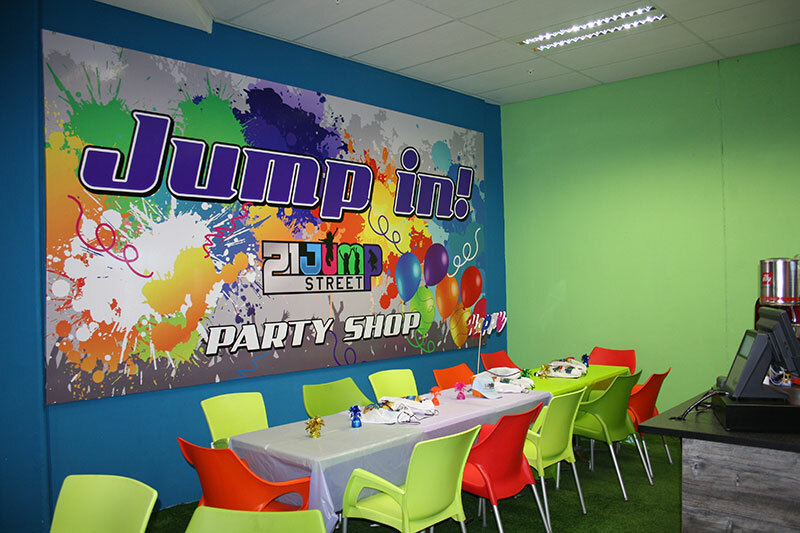 The venue is equipped with a Jump Café offering hot and cold drinks, sweats and snacks. 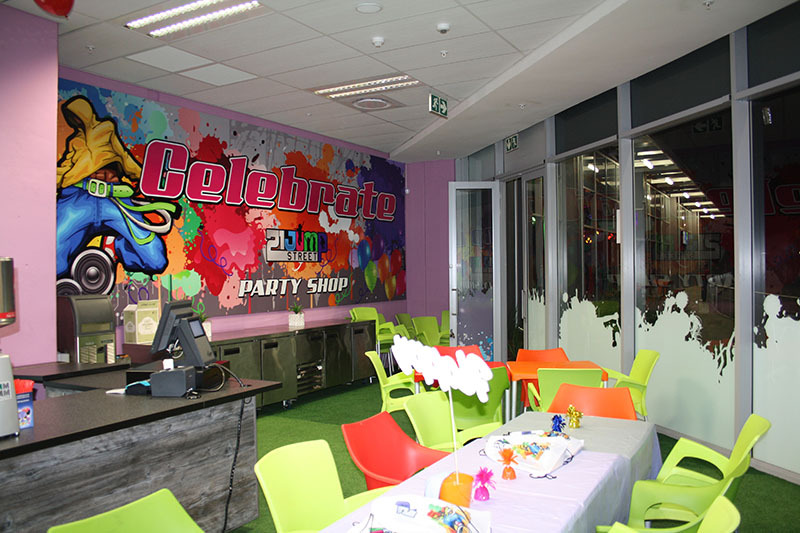 Foods can be ordered from a number of the top restaurants located in the Mall of the South. Voucher for: Slush puppy, Packet of crisps, Packet of sweets.